OMGO! (That's "Oh My Goodness, Ore-Ida!") The clever folks over at Ore-Ida have taken the beloved egg-mug concept (an HG breakfast staple) to the supermarket with their just-add-egg microwavable breakfast bowls! Each portion-controlled container serves up a combo of veggies, cheese, potatoes, and/or breakfast meat. Choose from the Denver Scramble, All American Scramble, Ultimate Scramble, and Rustic Scramble. Add an egg or some egg whites, nuke it up, and you've got a hot & hearty morning meal! 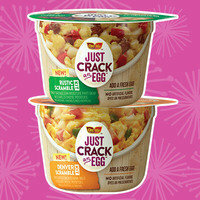 Find 'em near the eggs at select supermarkets. Mochi ice cream is an insanely delicious creation: Little nuggets of ice cream wrapped in sweet rice dough… Yum! Are you dairy-free? Don't despair! My/Mo Mochi just launched this non-dairy, vegan-friendly line. In addition to traditional Vanilla, Chocolate, and Strawberry, there's a Salted Caramel variety! 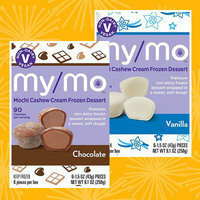 Find these in the freezer section of select retailers. 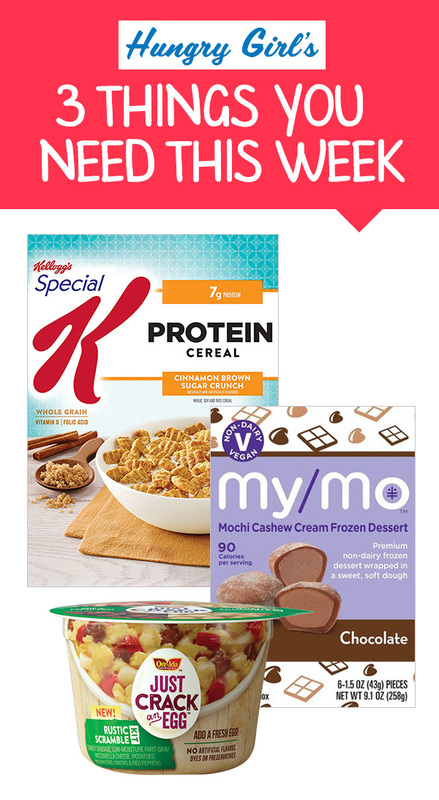 Cereal is a time-honored breakfast staple, but it's generally pretty low in protein. 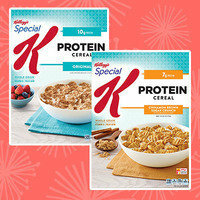 Special K to the rescue! In classic Original and sweet Cinnamon Brown Sugar Crunch, this new line serves up extra crunch and extra protein. We won't be limiting this stuff to our breakfast bowl. Layered up in a fruit and yogurt parfait? Just try to stop us! (You won't be able to. We'll be too strong from the protein.) In stores nationwide. 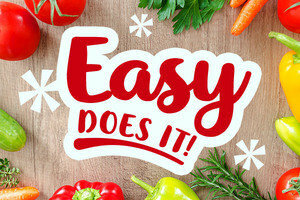 And the Hungry Girl Theme for March Is… EASY DOES IT! ⭑ Time-saving kitchen hacks & gadgets! ⭑ New Instant Pot meals! Today, March 5th, is National Cheese Doodle Day. Instead of neon orange carbs, try Moon Cheese: crunchy puffs made from 100% cheese! Your buddies need some new foods in their lives. Click “Send to a Friend” now.